Early digital transformation adopters are leveraging new technologies and capitalizing on hot trends resulting in improved conversions, increases in revenue and boosts in brand loyalty. 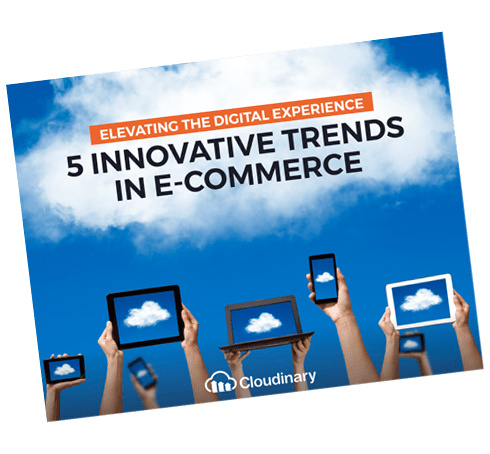 Download the Cloudinary eBook, Elevating the Digital Experience: 5 Innovative Trends in E-commerce and learn how to leverage the hottest trends in digital media to increase your bottom line. With companies in the e-commerce market fiercely vying for every customer conversion—striving to improve revenue per visitor and average order value—they now compete not only on the quality of their product, but also on the quality of their visual shopping experience.